As I said last post if I couldn’t find a reddit wallpaper downloading program I would make one. 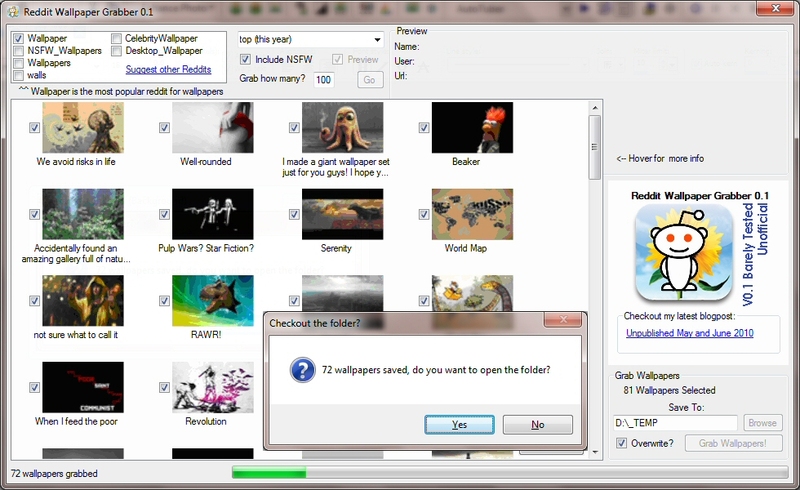 Well I found upboat (which is good) but with windows 7 (or display fusion) offering cycling desktop backgrounds every x minutes I thought I might write a more brute force downloader. So I did. 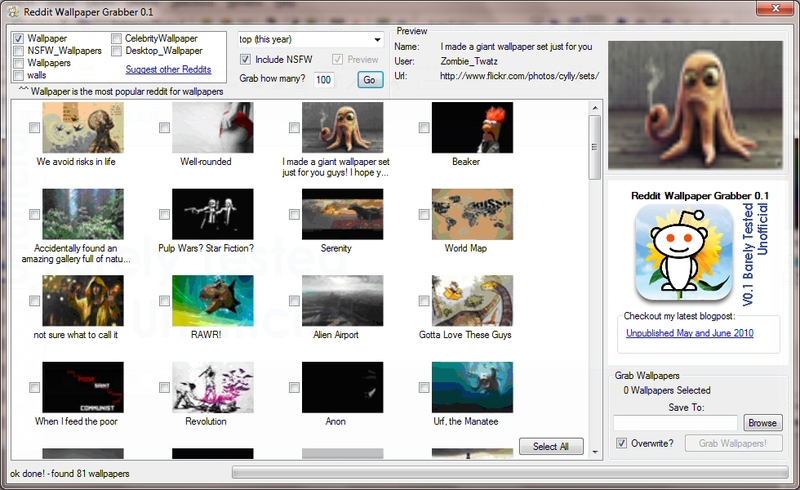 …a small program (77kb) that will grab wallpapers straight from their listings on reddit. With it you can download (in bulk) hundreds of the most upvoted wallpapers with the click of a button to a folder on your computer. If you want to suggest feature requests/point out bugs then please do on the comments of this post. If you haven’t already – go ahead and download it. This entry was posted in Projects, Social Media, Software, WoodyLabs. Bookmark the permalink. Both comments and trackbacks are currently closed. Hi there. 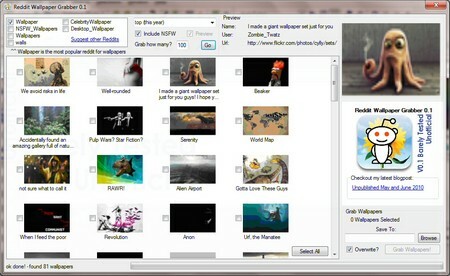 This is my old blog and it's archived, so you can no longer post new comments on this post (Reddit Wallpaper Grabber V0.1). "A classical education teaches you to despise the wealth it prevents you from earning"